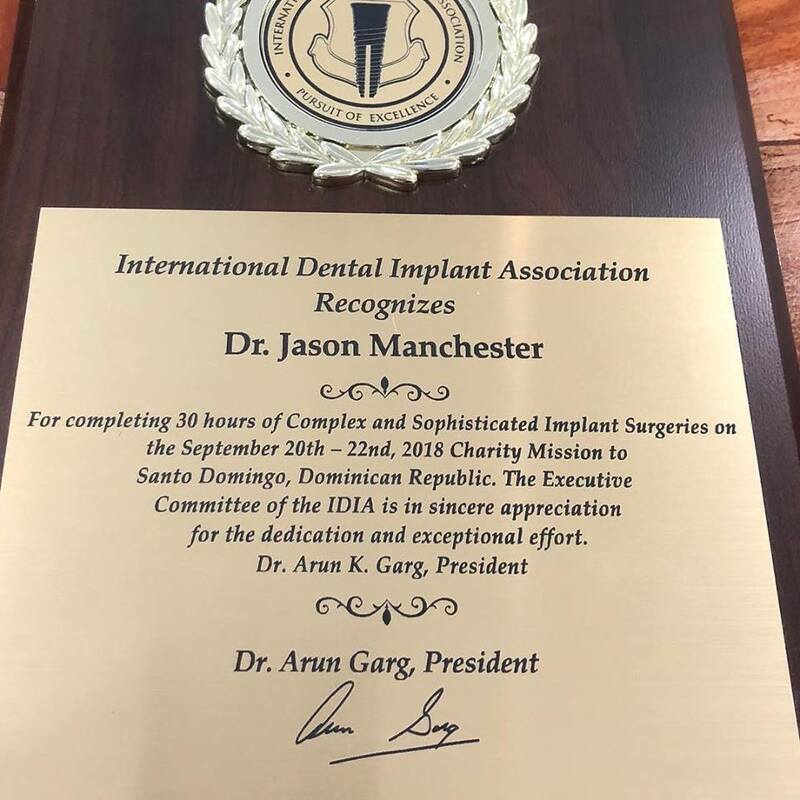 September 20-22nd Dr. Manchester flew to the Dominican Republic to place implants! Congratulations, Doc! May 2017, Team Luau! Farewell Gabby, welcome Kelly and Jana! March 2017, Team building on the Sebago Sunset Cruise! 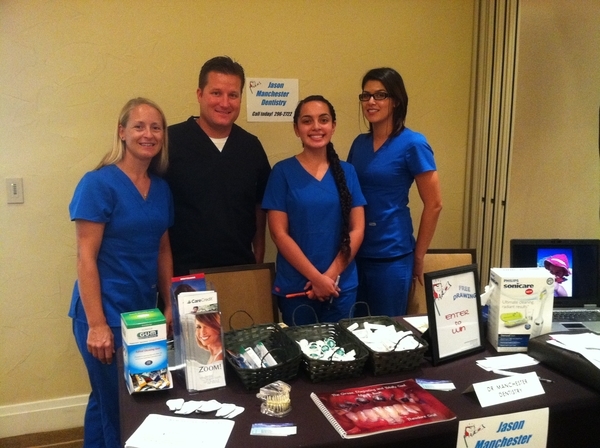 Dr. Manchester participated in an event called Dentistry From the Heart in Panama City, Florida. This event included 4 dentists who spent all day providing free dental care for patients in need. People even camped overnight awaiting this event in order to get in! “It felt great to help patients in desperate need get out of pain and see that smile on their face when they walk out,” said Dr. Manchester. He hopes to participate in another event like this in the future. The Academy of General Dentistry (AGD) is pleased to announce that Jason P. Manchester, DMD of Key West, Florida, received the association’s Fellowship Award during the AGD 2015 Annual Meeting & Exhibits, which took place June 21st, 2015 in San Francisco. 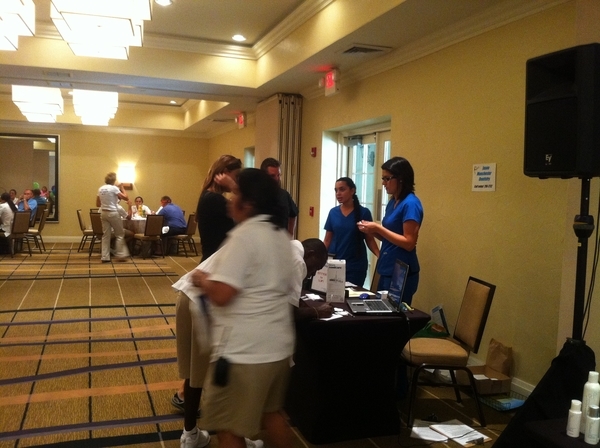 The beautiful Casa Marina hotel invited us to participate in their Employee Health Fair! It was great fun! 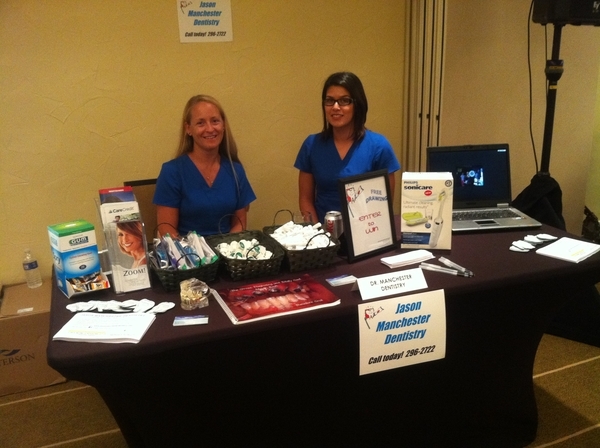 We raffled off a $215.00 Sonicare toothbrush and handed out a gift bag with goodies and information. 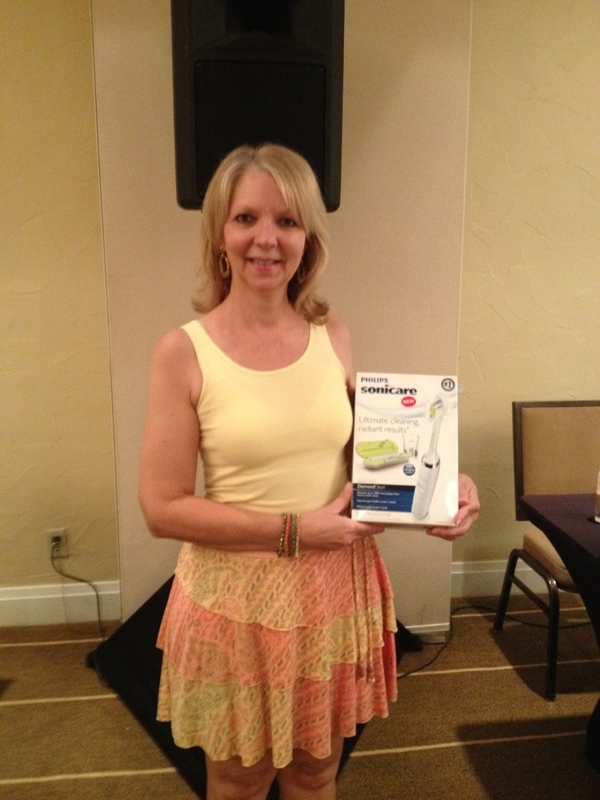 Cathey Henning, a concierge, won the toothbrush! 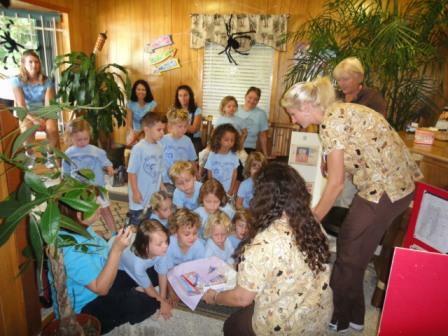 For Dental Health Month, we visited the Sugarloaf School Pre-K Class. We did a teeth-brushing demonstration with a fun puppet, read a book, discussed the importance of taking care of your teeth, and taught the children a song. Each child also received a special gift bag with age appropriate dental supplies! 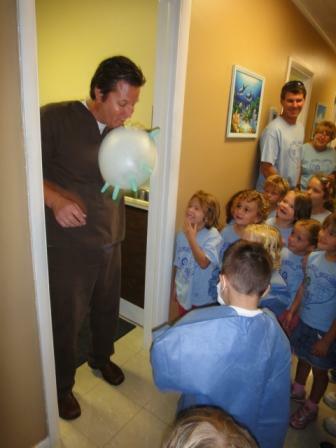 Jason Manchester Dentistry celebrates 5 years of providing dental care in Key West! 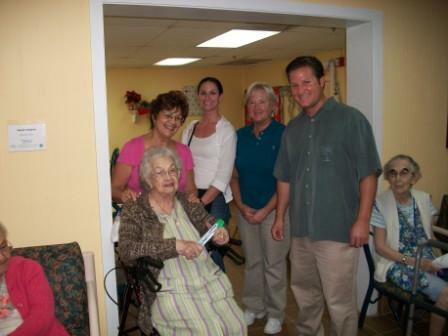 To give thanks, we gave patients a special gift bag on the way out! 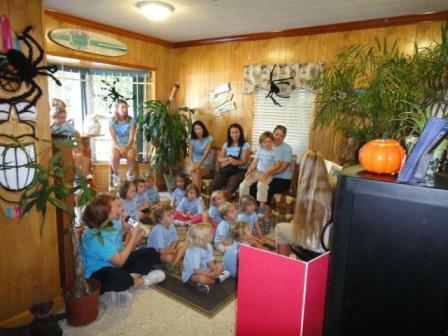 The pre-K class from the Key West Preschool came to our office on a field trip to celebrate the letter "D" for Dentist! We read them a story about caring for teeth, did a demonstration with diagrams of the teeth, and let them explore the operatory with Dr. Manchester. They each left with a goodie bag and chanting the saying we taught them, "Stay Away Tooth Decay!" Ruby Manchester read a book about caring for your teeth! 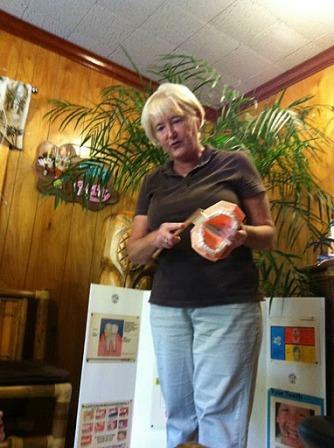 Dental Hygienist, Janice Kitching demonstrated the proper way to brush your teeth! 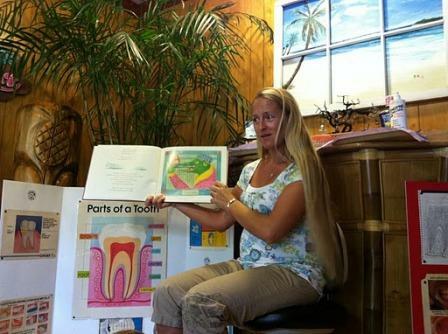 Gina and Jenn showed the children common dental office items. Dr. Manchester blew up a glove balloon for the kids! 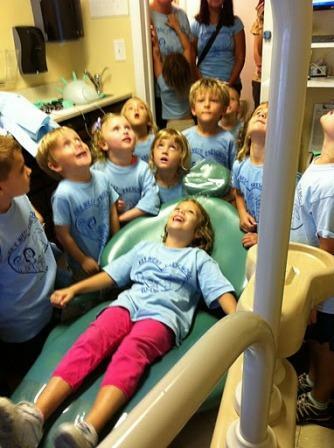 The kids loved the dental chair and ceiling TV's! To celebrate Dental Health Month, we visited the Key West Preschool Co-Op Threes Class to talk about the importance of taking care of your teeth! Each child also received a special bag of dental supplies to take home! 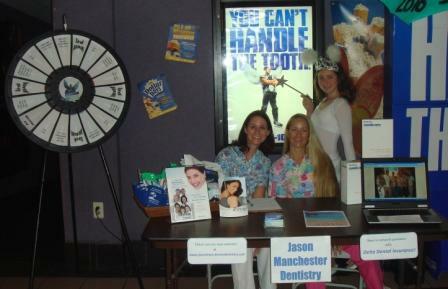 All local dentists were invited to the Regal Cinema Key West movie theater in the Publix shopping center for the opening of the new movie "Tooth Fairy!" starring Dwayne Johnson, AKA "The Rock." 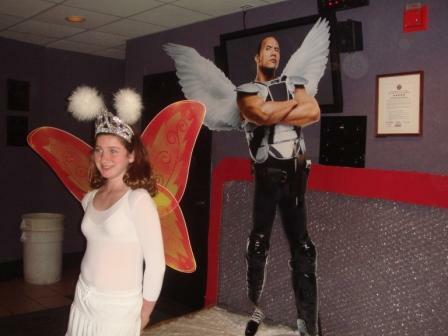 The movie is rated PG and is about a hockey player who turns into the Tooth Fairy. 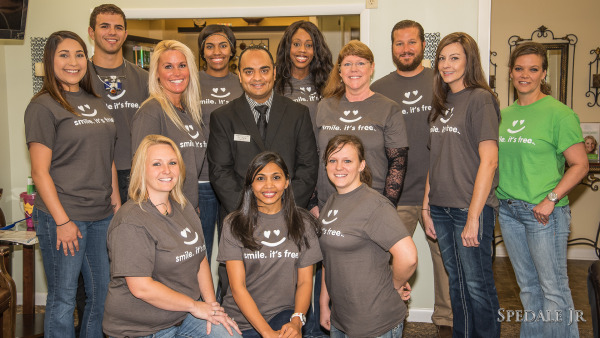 We were the only dental office that attended! Ann and Ruby were there giving away great prizes on a spin-to-win wheel! The Southernmost Hockey Club was there skating outside, and Ann's daughter Maegan even dressed up as the Tooth Fairy! It was a great turnout and everyone said the movie was great! Our very own Tooth Fairy, Maegan, with the Southernmost Hockey Club! The Key West Balloon Clown was there to entertain the kids! Maegan posing with "the Rock"
Dr. Manchester donated dental supplies to Bayshore Manor this holiday season! Ann and Janice accompanied him on the visit. Dr. Manchester spoke about oral health and answered residents' questions. 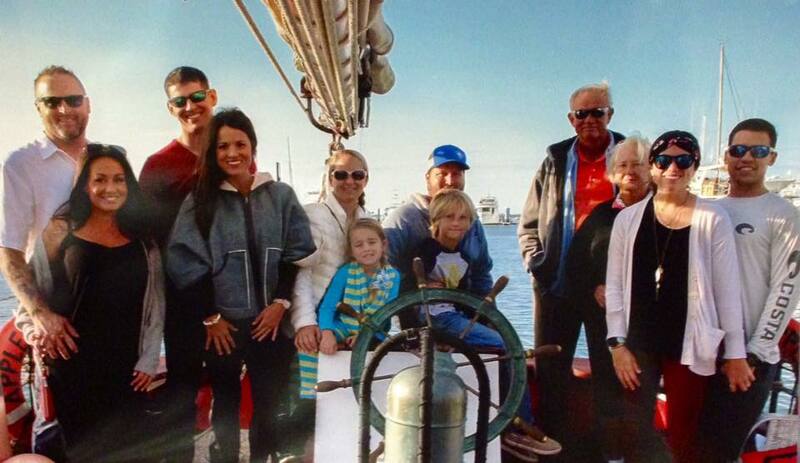 This picture along with an article was featured in the Key West Conch Color magazine. 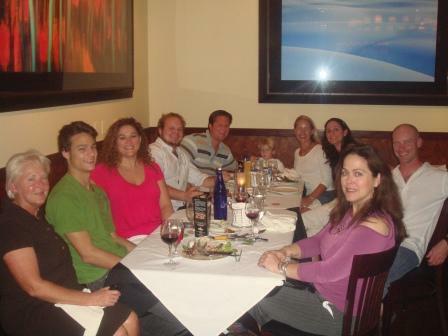 Our holiday team dinner night at Braza Lena steakhouse! We had a great time!